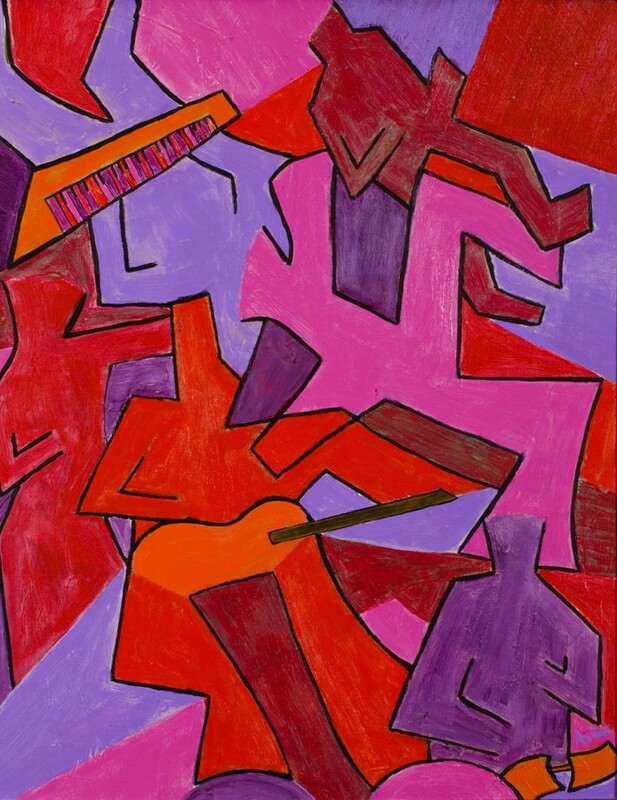 “Swingin’ Swayin’, Music Playin’ ” is inspired by and titled after the great Motown hit ‘ Dancing In The Streets’. Here we have a group of jagged zig-zags and curves in concert to create an ensemble comprising of a drummer, keyboardist, guitarist, saxophonist, vocalist and dancer in full motion, locked together in an energetic groove. Hi Asher – long time – glad you pop up in an email once in a while to remind me your “around”. Hope all is well – great site – some really fun stuff. Out of curiosity – how much is this piece? Original or reproduction?